One of the most anticipated Disney movies coming out next year is the live-action remake of the animated classic, Beauty and the Beast. The movie quickly claimed the record for most viewed teaser trailer back in May when it was viewed 91.8 million times in a 24-hour period. One of the movie’s stars, Luke Evans, recently talked to CinemaBlend about his upcoming portrayal of one of the most well-known Disney villains, Gaston. Evans spoke quite frankly about Gaston’s character. He emphasized that while Gaston seems to be a simple, egocentric jerk, there is a genuine monster hidden beneath the bravado. 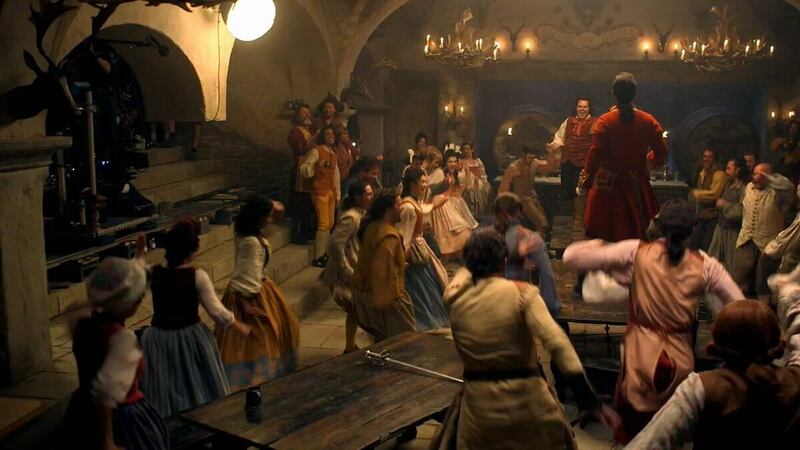 For us Disney fans, seeing Evans speak with such insight about his role as Gaston is a relief. Additionally, knowing that the movie is in good hands with director and co-writer, Bill Condon, and the rest of the cast is also a comfort. So far the plan seems to be to stick to the original Disney animated movie’s storyline and to leave the darker elements intact in the live-action movie. I, for one, cannot wait until I get a chance to see this remake. Now we just have the tortuous wait until a full-length trailer will be released. Until then, enjoy the teaser trailer, yet again, below! Beauty and the Beast arrives in U.S. theaters on March 17th, 2017. VIDEO: ‘DC’s Legends of Tomorrow’ gets an awesome sizzle reel for its second season! Newer Newer post: Groovy, baby! ‘Ash vs. Evil Dead’ has been officially renewed for a third season!